A top Crossfit executive was fired today for tweeting his support of a downtown Indianapolis gym that canceled a Pride Month workout. Crossfit Chief Knowledge Officer Russell Berger's employment was terminated after he thanked the gym for "refusing to celebrate sin," the company announced on Twitter. "CrossFit is a diverse community in every way, and that’s what makes us strong. No matter who you are, how you’re built, what you believe, or who or how you love—we are proud of you," the company wrote on Twitter. "The statements made today by Russell Berger do not reflect the views of CrossFit Inc. For this reason, his employment with CrossFit has been terminated," the company added in another tweet. The Indianapolis gym itself closed less than 24 hours canceling the workout, which had been planned by employees and members. Berger's tweet supporting the cancellation has since been deleted. The owner of the Indianapolis CrossFit Infiltrate, Brandon Lowe, later sent ABC affiliate WRTV a statement about the canceled class that read: "The gym has a history of welcoming and serving people training to be fit. ... The gym never has and never will be anything but welcoming to all human beings who live, move and breathe in God's world." 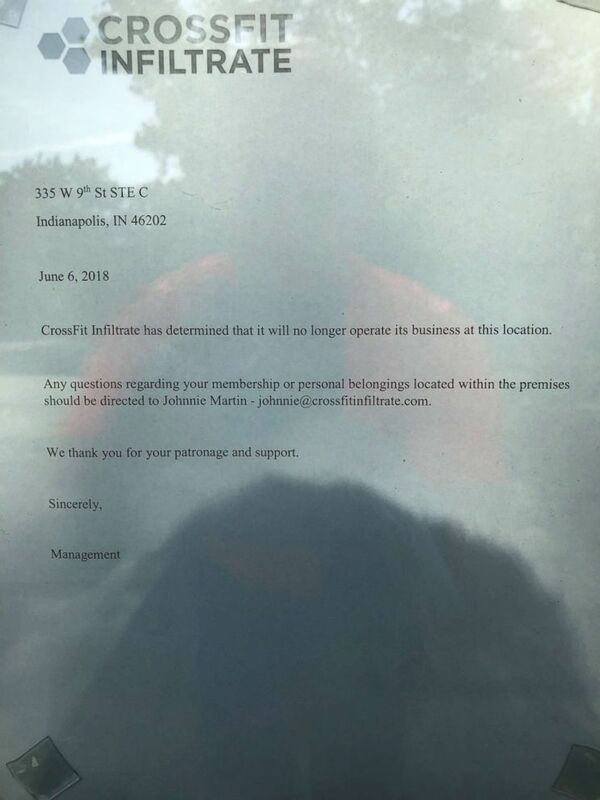 A CrossFit gym in Indianapolis closed Wednesday after it canceled a workout in support of pride month that was planned by employees and members. Berger later confirmed his termination in a personal Twitter post. CrossFit CEO Greg Glassman, also on Twitter, said, "I am crazy proud of the gay community in CrossFit." Many gym members and employees quit immediately after the Pride workout was canceled, going from CrossFit Infiltrate to Crossfit Naptown, also in Indianapolis. "We are open to all people regardless of race, religion, sexual orientation, gender characteristics, anything like that," said Caitlin Byczko, owner of Crossfit Naptown. "We have been very open about saying we're welcome for people to come try out and be a part of our community and see if our community works for them."